Bob the Birder: Another day in Staffs. Unfinished business in Staffs, so a swift excursion to Cannock Chase was called for but not before popping in to Kingsbury Water Park for a quick look round and to tick off Smew for the year as there were 2 Red heads at the back of Cliff pool. Pity Staffs birds arent so obliging. Plenty of Staffs birders and a few tourists from further afield like myself but unfortunately no Great grey Shrike. Again there was a strong breeze but the rain didnt arrive so there was a good opportunity to have a stroll round. 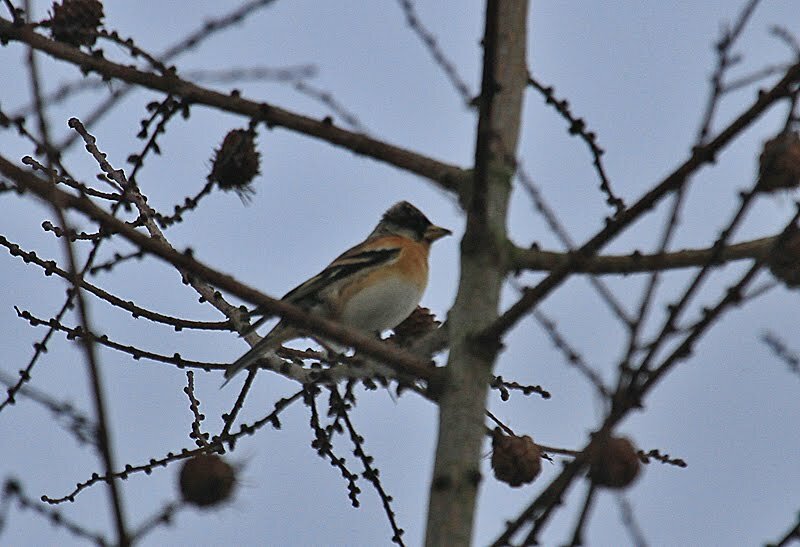 Best birds were undoutedly a small flock (I saw 6) of Brambling in the Larches and Beeches adjacent to the Clearfell area. 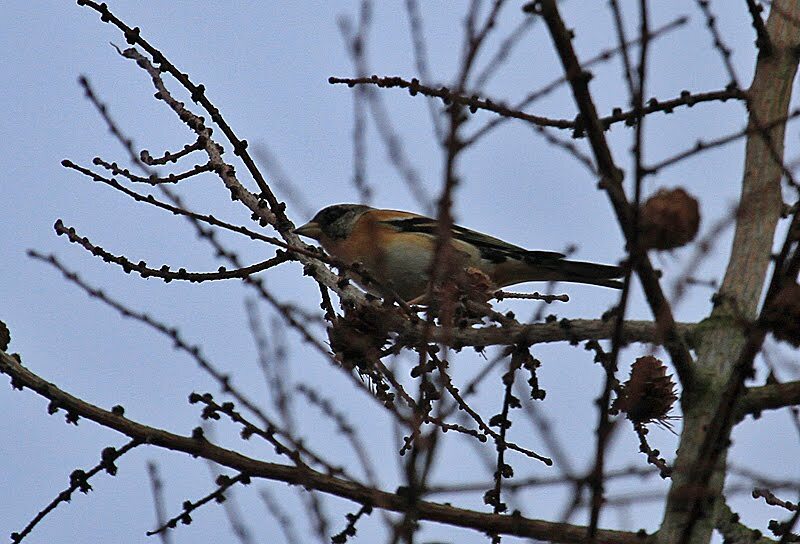 There was also a big (200+) flock of Siskin/Redpoll and a pair of Raven.